So, this version of Scan Bran Curly Wurly Cake is a great standby for when I just have to have cake. It’s not quite the real thing, but it’s as close as I can get without blowing the syns. Serves 8 in theory. In reality, it tends to be 2 at most. 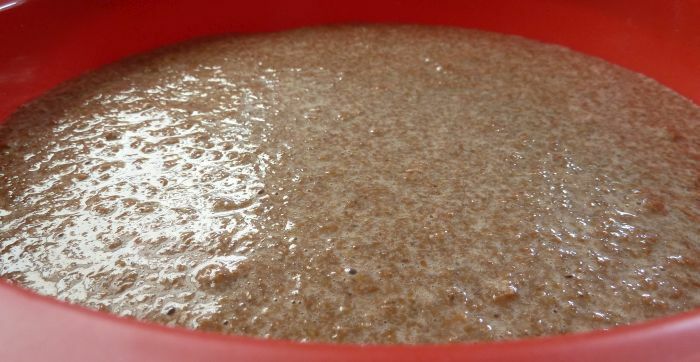 Put the scan bran into a smallish bowl and add around 500mls boiling water. Power through. Honestly. It does get better. Beat both of the eggs and add the softened scan bran. Stir to combine. Cut the Curly Wurly up into small pieces and add to the mix. 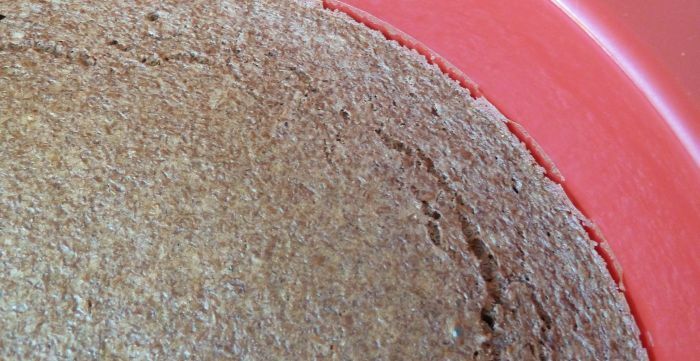 Pop into a cake tin or ovenproof dish (I use a silicone cake pan, which is perfect and doesn’t need any extra greaseproofing). Cook until the cake’s just starting to come away from the sides (35 to 40 minutes). When it’s cold (if you can wait that long) serve with a bit of fruit for extra sweetness. 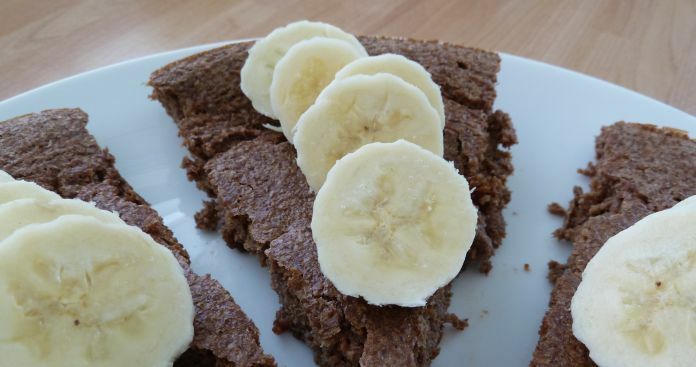 This entry was posted in Recipes and tagged cake, HexB, Low Syn, Recipes, sweet on February 14, 2016 by Louise ASJ. Just a simple little idea that came to me. 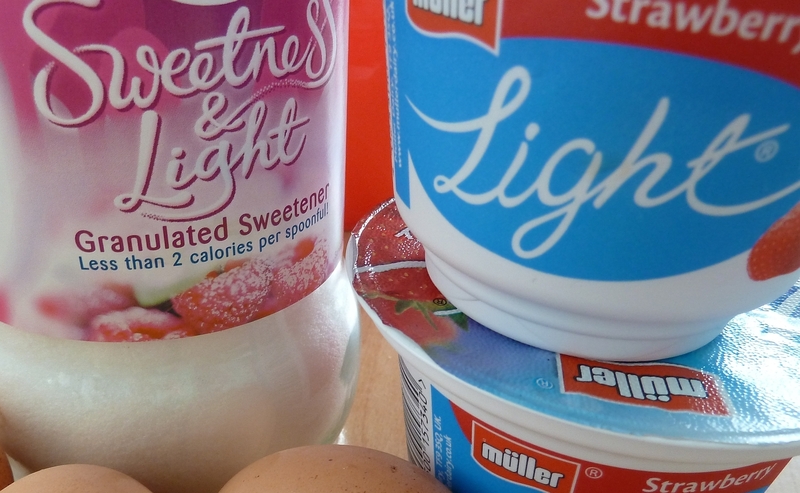 Really light & delicious – and Syn Free!. 2 – Whisk the eggs. 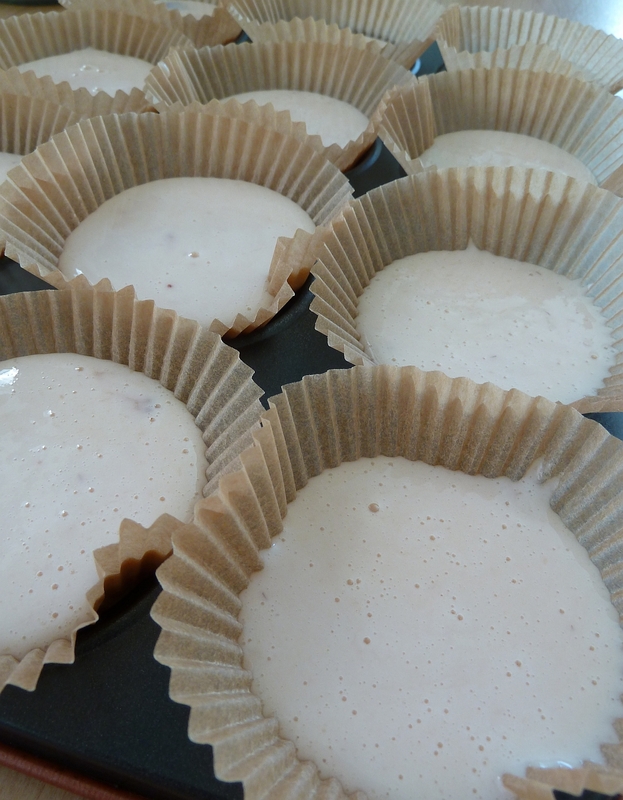 3 – Add the yogurt and whisk until smooth. 4 – Stir in the sweetener. 5 – Divide between 12 greaseproof muffin cases. 6 – Bake for 25 – 40 minutes until golden brown. 7 – After cooling on a wire rack, decorate with a piece of fresh strawberry. 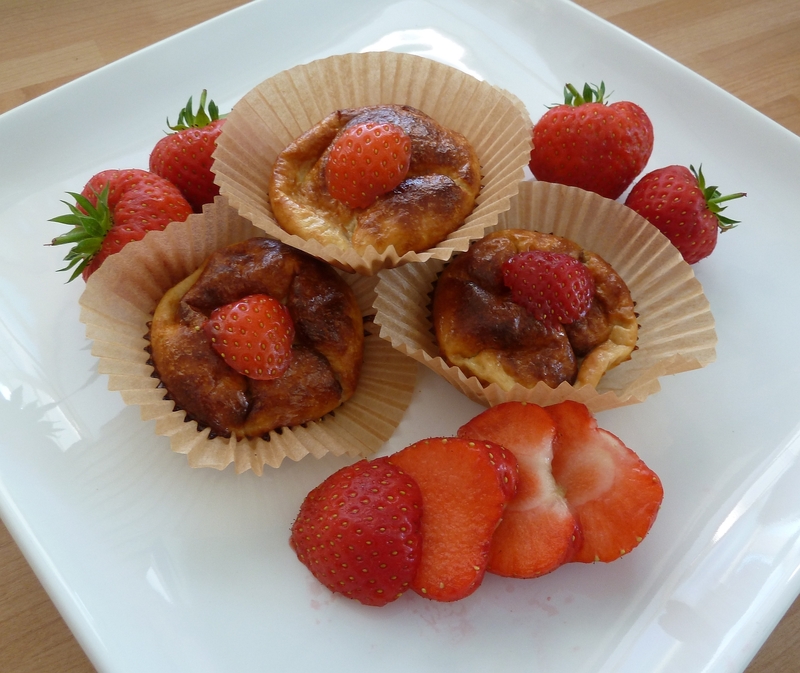 This entry was posted in Recipes and tagged Eggs, Strawberry, sweet, Syn Free, yogurt on July 5, 2014 by Louise ASJ. This Slimming World Lasagne recipe is adapted from the one on the official Slimming World website. I’ve made a couple of tweaks to it, but it’s still very straightforward. TIme 40 minutes, plus 30 – 40 minutes in the oven. 1 – Using a very large frying pan or wok, fry the minced beef, red pepper, courgettes, mushrooms, onions and garlic over a high heat for 6 – 8 minutes. 2 – Beat the eggs, and carefully stir in the yogurt. Add the cheddar and nutmeg to this mixture and stir to combine. 3 – Preheat the oven to 200c / Gas mark 6 (only do this if you’re planning to eat straight away – skip this step if you’re making the lasagne to heat later). 4 – Add the tinned tomatoes, passata and dried herbs and cook for 15 minutes, stirring frequently. 5 – Spray a large lasagne dish with frylight. Spread half the mince mixture across the base of the dish. Add layer of lasagne sheets, followed by half the yogurt and cheese mixture. 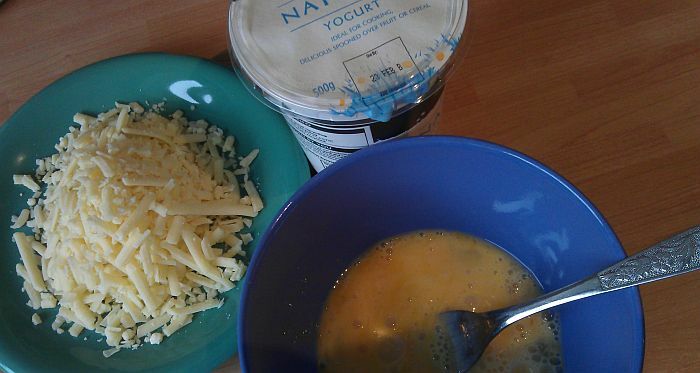 6 – Add a second layer of mince, then the rest of the lasagne sheets and the remaining yogurt and cheese mixture. 7 – Sprinkle the parmesan over the top. 8 – Cook in the oven for 25 – 30 minutes (up to 45 minutes if cooking from cold) or until the top is golden. Serve hot with Slimming World chips or salad. (Huge apologies for my shocking food photography. I’m working on it!). 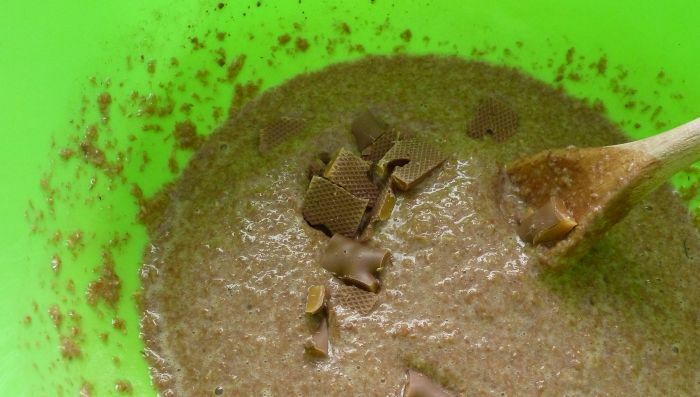 This entry was posted in Recipes and tagged Dinners, Lasagne, Low Syn, Mince, Pasta, Recipes on February 10, 2013 by Louise ASJ. 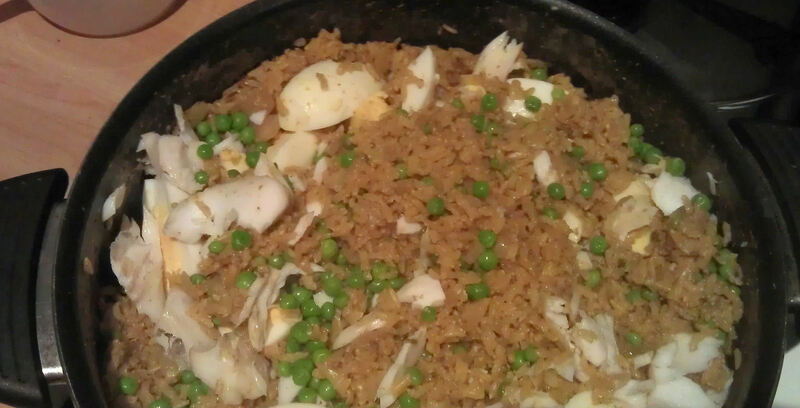 I came up with this Kedgeree Slimming World recipe after a couple of attempts with ordinary versions I found online. This one’s straightforward, fairly quick and fills the kitchen with a gorgeous smell from the spices. Perfect for a slow Sunday brunch when you have time for something special. 1 – Chop the onion finely and fry in frylight until softened but not coloured. 2 – Add the coriander, turmeric and curry powder, stir well and cook for a further three minutes. 3 – Add the rice, milk and water and simmer the mix with the lid on the pan for 20-30 minutes (leave the lid on and the rice will absorb all of the liquid). 4 – Boil the eggs for eight minutes. 5 – Boil the petit pois for five minutes and drain. 6 – Cook the haddock. I use a covered dish and microwave for three minutes. 7 – Peel the eggs and chop into four to six pieces each. 8 – Once the rice has absorbed the liquid, add the eggs, petit pois and haddock. 9 – Stir to combine and serve straightaway. This entry was posted in Recipes and tagged Breakfast, Fish, Lunches, Recipes, Rice, Smoked Haddock, Syn Free on February 2, 2013 by Louise ASJ. 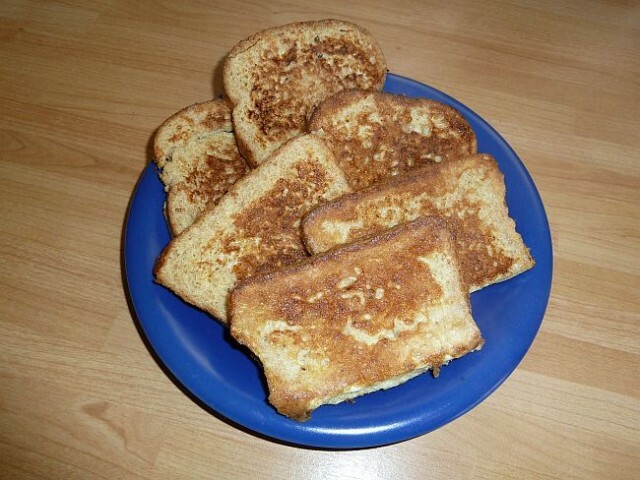 I’m a great fan of Eggy Bread (we used to call it Gypsy Toast). Like many old favourites, a couple of tweaks makes it a great fit with Slimming World. I love this on weekend mornings with a few grilled mushrooms and a couple of plum tomatoes. 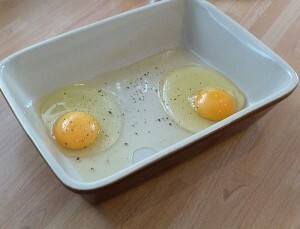 1 – Beat the eggs lightly with salt and pepper to taste. 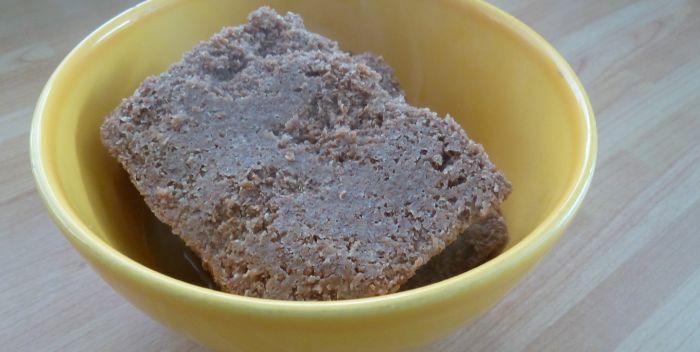 2- Dip the bread into the egg mix, allowing time for the bread to absorb lots of egg. 3- Spray a frying pan with fry light and heat till hot. 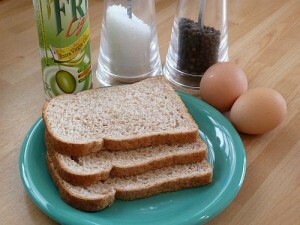 4 – Add the bread slices. 5 – Fry for a few minutes until lightly browned. 6 – Turn and cook the other side. This entry was posted in Recipes and tagged Breakfast, Eggs, HexB, Recipes, Syn Free on September 4, 2012 by Louise ASJ.